Since 2003 we have endeavoured to provide the best professional recruitment service possible. Our commitment is reflected in our APSCo membership and ISO9001 accreditation. Our success is echoed in our achievements, something we’re extremely proud of and are entirely down to the fantastic relationships we have with our industry-leading clients. Keen to fully understand the market in which we operate, the team at Electus are continually looking to diversify and join other society and industrial memberships creating a benchmark for our professional, reliable service. Our clients and candidates are a key factor in contributing to our success and so it is our duty to provide a quality recruitment journey for them. APSCo was formed in 1999 and is now the leading trade body supporting the professional recruitment sector. A crucial factor in our decision to join APSCo was its market-leading approach to standards that has allowed it to become a trusted badge of recruitment quality in the UK and across the world. APSCo helps us further enhance our reputation for consistently high professional standards by providing access to best practice legal advice, market intelligence and a portfolio of professional development opportunities. When you select an APSCo member, you can rest assured that you are partnering with a professional recruitment firm that is committed to best practice and achieving the highest quality standards supported by a brand with an international reputation for excellence. APSCo provides us with access to the latest diversity guidance and advice to help us access new, diverse talent pools, support your CSR objectives and encourage best practice throughout the candidate sourcing and selection process. APSCo support helps us partner with our clients to extend and amplify your employer brand in the market place, using our access to best practice legal advice and the latest market intelligence provided to source rare talent and mitigate reputational risk to your organisation. 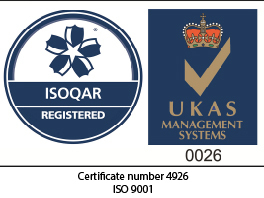 We have held ISO9001 UKAS approved certification since 2005. Our Quality Management System (QMS) is focused on customer satisfaction, achieving optimum operational efficiency and continuous improvement within our organisation. Electus Recruitment has been awarded a Cyber Essentials Certification. This means we are now protected against common cyber threats, we can bid for Government contracts and most importantly it shows our clients and candidates that we take cyber security seriously and that our data is tightly secure. The Cyber-security Information Sharing Partnership (CiSP), part of CERT-UK, is a joint industry-government initiative to share cyber threat and vulnerability information in order to increase overall situational awareness of the cyber threat and therefore reduce the impact on UK business.CiSP allows members from across sectors and organisations to exchange cyber threat information in real time, in a secure and dynamic environment, whilst operating within a framework that protects the confidentiality of shared information. 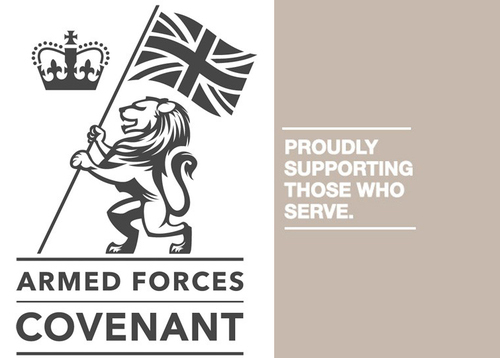 Electus is delighted to be the first recruitment business in Dorset to sign the Covenant and has committed to a range of Armed Forces-friendly initiatives. This is a huge accolade for us and one we are very proud of. We have been working within the UK Defence sector since 2003 and have always actively supported ex-military individuals in finding and securing new and exciting careers. Signing the Armed Forces Covenant formalises this commitment and we look forward to working with the military to help individuals leaving the forces to find a career that makes the most of their knowledge, skills and experience. 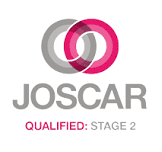 Electus are pleased to announce that we are now JOSCAR Accredited. JOSCAR is an accreditation system for the aerospace, defence and security sectors. A cross-sector collaboration solution which reduces the time, cost and resources and duplication needed to provide information to major customers. A risk management tool that objectively assesses potential vendor risks, proportionally to products and services being provided and across areas of compliance. Holding common supplier data in a central system allows information to be accessed by all participating buying organisations. On Tuesday 14th November, 2017 the Dorset Cyber Alliance was launched and Electus Recruitment is proud to announce that it is one of the driving forces behind it. Comprising business leaders, public service managers, academics and interested citizens, the Alliance has proactive strategic partnerships with Bournemouth and Poole Councils, the Dorset Growth Hub, Dorset Police Cyber Crime Prevention, Bournemouth University Cyber Security Unit, Silicon South and the private sector. 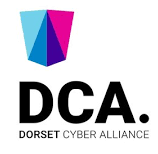 With access to international expertise, the Alliance will engage with both businesses of all sizes and cyber professionals to promote and share best practice, whilst ensuring Dorset remains an attractive and safe place to do business. 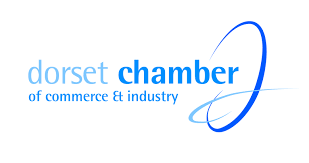 The Dorset Chamber of Commerce and Industry is the only accredited chamber of commerce in the UK. The DCCI provides its members with business support, networking events, advice and training. It is the aim of the DCCI to deliver a first class service to help businesses in Dorset grow and prosper by raising their profile, build contacts and improve the bottom line.